Consumer Reports puts 5 through the paces. 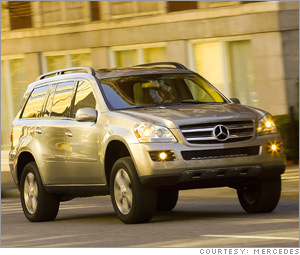 "The ride is firm but controlled," Consumer Reports said of the GL. The magazine also noted the SUV's responsive steering. "The roomy interior is luxurious and well-detailed," the magazine notes, "but some controls are confusing."